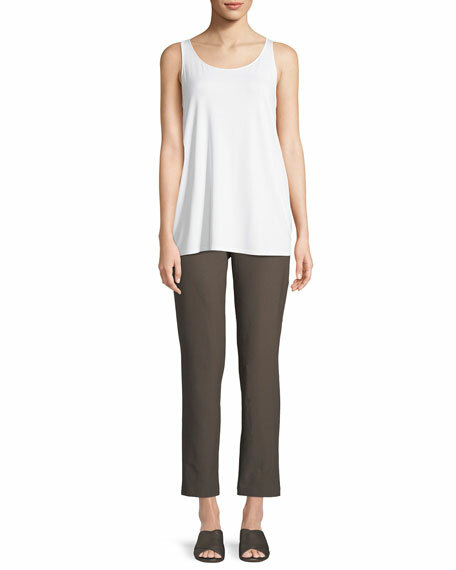 Eileen Fisher pants in signature washable stretch-crepe. Approx. measurements: 9" approx. rise; 28" approx. inseam. Wide band sits at natural waist. 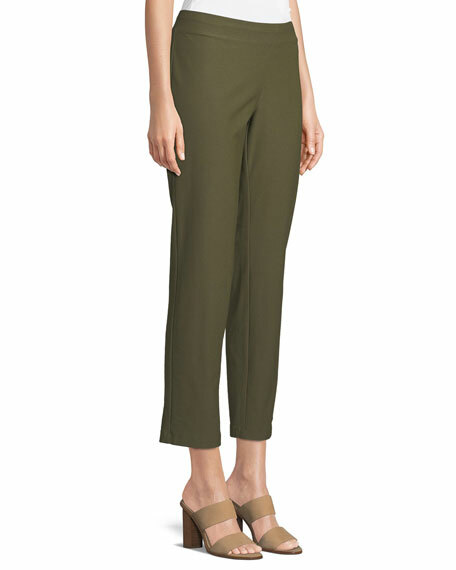 Model's measurements: Height 5'10"/177cm, bust 32"/81cm, waist 25"/64cm, hips 35"/89cm, dress size US 2.